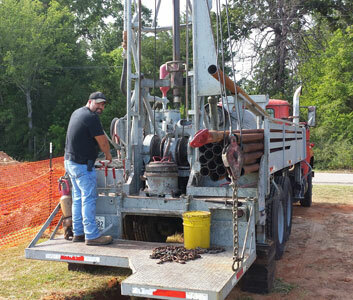 With more than 20 years combined experience, owners Tracey Knight and Sonny Flora have successfully drilled in the rocks of Oklahoma, to the swamps of Louisiana, the shale of Mississippi and the oil rich soils of Texas. Tracey and Sonny are Licensed in all 4 states, although they have based their company in their born and bred area of East Texas. Allstar Waterwell Service is proud to service this and the surrounding area with quality experience, competitive pricing and honest, professional workmanship. We pride ourselves on customer satisfaction and a job well done. Give us a call today at 903-218-9028!